Samuel lemus from Miami Lakes auto mall was extremely professional. My not so good experience was turn in to a great one. 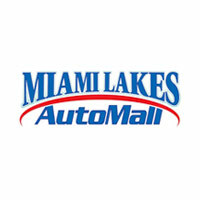 I will highly recommend Miami Lakes auto mall to all. We will also be buying a new truck there soon. Thank you Samuel. Went in making time for a response from my Credit Union on a supposedly great sale. Was directed to saleman Arturo Pazmino . I explained to him I was waiting for a response from my Credit Union on a Telluride I waited several hours and no response from them. Arturo asked me if he could get an offer from his sales manager would I make the purchase. I felt I had nothing to lose. After several offers back and forth we came to an agreement and I left with my vehicle. Arturo and his sales manager and finance manager made it happen. Carlos Nuñez was an amazing salesman. He worked with me to get me what I wanted. Sending everyone I know to Carlos for their future auto needs!! Let’s be honest, car dealerships are never fun because of three things, long waits times, back and forth negotiations and finance guy trying to upsell every little package available. All this is true however our guy Augusto did an outstanding job working fast and efficiently to the best of what he controlled. What convinced me was his personalization and zero BS. I purchased a wrangler for my wife and myself that’s how great my experience was at MIAMI lakes auto mall. I was able to give myself the gift of my first Chevy thanks to Luis Sifontes I beat Cancer and finished Chemo so Luis Sifontes went above and beyond to make sure I get a great deal and be able to leave the lot with a new Chevy even with not so good credit. Thank you for the gift #xxxxcancer !!!!!! Hands down one of my favorite dealerships, spoke with Rene who helped me out, service was great! I would recommend to my family and friends for sure. Eliezer Neptune did an outstanding job helping my wife and me lease a new Jeep!